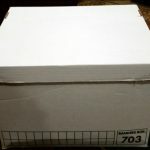 Okay, I’ve gotten serious about finishing quilts, now I’ve got to get serious about blogging. 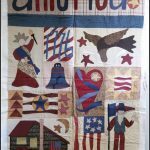 I tend to daydream while quilting and I’ll think about some subject and say to myself, “Oh, that would be a great blog topic.” After my quilting session I get busy with housework, errands, etc., etc. and the blog post never happens. Lately I’ve gotten into more of a routine so my plan is to start regular posts. I’ve been doing a lot of quilting this winter. It took nearly a year to organize my stash and UFO’s but now things are pretty much in order (well, orderly for me!!) I still don’t have all the UFO’s listed but I do know where they all are. I try to finish two old projects for every new one I start. 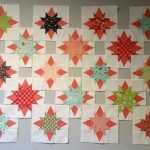 I really love starting new quilts but now most of my new ones are gifts and donation quilts. Occasionally I’ll make a new quilt with no particular recipient in mind, but honestly how many quilts does a person need? 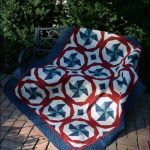 My first finish for the year was this flannel quilt. This was a UFO from several years ago. 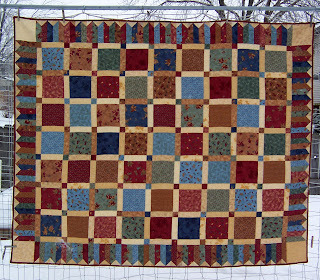 It started out as a shop sample from a line of Holly Taylor flannels from Moda. 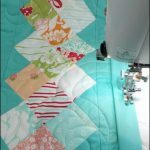 I pieced the top and even had it quilted but never sewed the binding on. Anyway, it only took a few hours and I had this beautiful flannel quilt completed. So one UFO finished, another 699 to go! Propeller Quilt September OMG Finished.